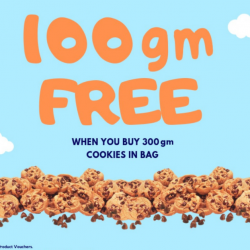 Famous Amos: Get 100gm FREE when you buy 300gm of Cookies In Bag! Get 100gm FREE when you buy 300gm of Famous Amos Cookies In Bag! 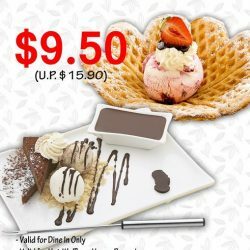 Available from 1 Mar - 15 Mar. T&Cs apply. 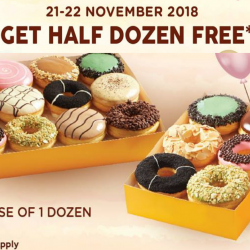 21 - 22 Nov 2018 J.CO Donuts & Coffee: Get Half Dozen Donuts FREE with Purchase of 1 Dozen! 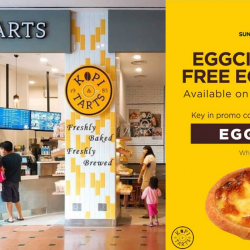 J.CO Singapore is turning 10! To thank everyone for their support all these years, they have a special treat for you on 21st and 22nd November! 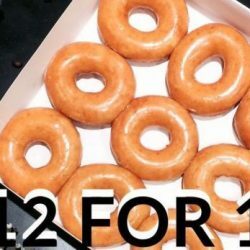 Buy 1 dozen and get a half dozen for free (assorted) on 21st and 22nd November 2018 (whole day) at all J.CO Singapore stores! 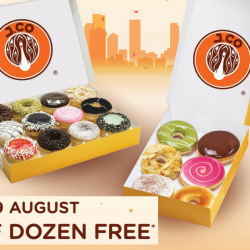 7 - 9 Aug 2018 J.CO Donuts & Coffee: National Day Offer – Buy 1 Dozen Donuts & Get Half Dozen FREE! 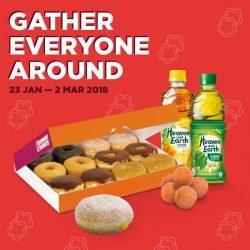 J.CO Donuts & Coffee has a special treat for you this National Day period so do drop by their stores if you are in the vicinity! 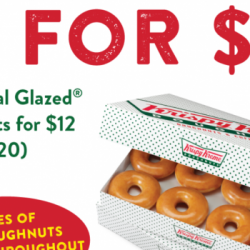 Get half a dozen assorted donuts free with any 1 dozen purchased! 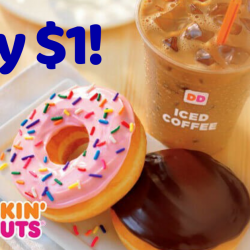 Indulge in donut bliss this National Day! 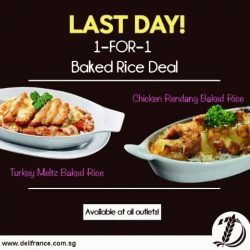 Offer ends on 9 August 2018. 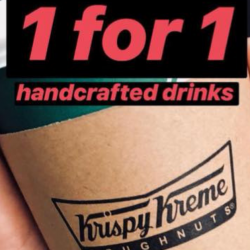 Limited to 1 redemption per person. 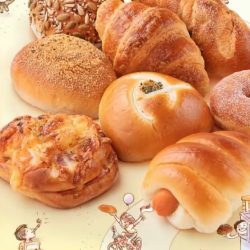 9 - 16 Jul 2018 BreadTalk: 18th Anniversary Offer – Enjoy 18 Popular Buns at $1 Each! 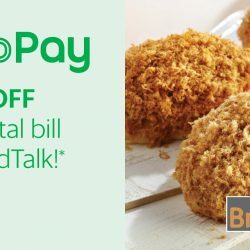 Celebrate BreadTalk's 18th anniversary with their $1 bread promo! 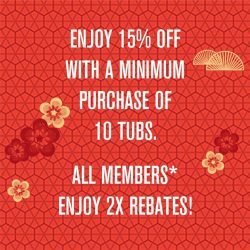 From now till 16 July, enjoy 18 popular buns at $1 each* everyday from 12pm onwards! Happy Bread Day! Till 30 Apr 2018, 12pm The Coffee Bean & Tea Leaf: Enjoy $5 OFF Raspberry Key Lime Cake for Your Mum! From keeping an extra piece of chocolate in your lunch box to helping you with your math homework — your mum has always done her best. To thank and celebrate all the mothers out there, here’s an early treat from The Coffee Bean & Tea Leaf! 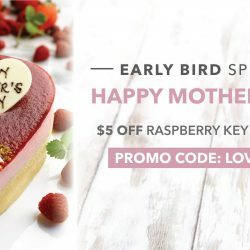 Order this decadent Raspberry Key Lime Cake for your mum before 12pm on 30 April, and enjoy $5 off by using the promo code when you check out. 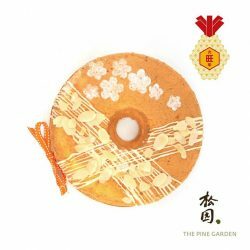 If you love our Pandan chiffon cake, you’ll love this new flavour we created just for Chinese New Year made with fresh oranges and added with toasted almond flakes. [The Pine Garden] Our Prosperity Hamper is bound to bring HUAT and a happy belly to those who receive it! 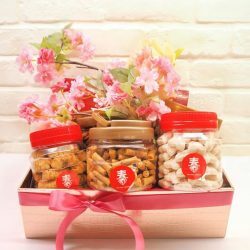 Our Prosperity Hamper is bound to bring HUAT and a happy belly to those who receive it! 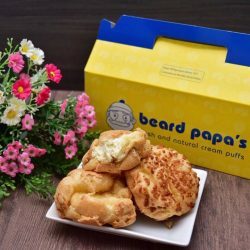 Each hamper contains: Pineapple Tarts (Roll), Spicy Shrimp Roll, Original Kueh Bangkit, Green Pea Cookies, Cranberry Cookies and a box of Delfi Chocolate Almonds. 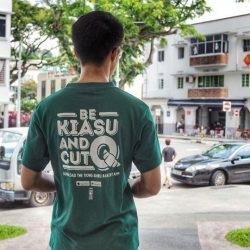 Collection available from 16 Jan to 14 Feb 2018. 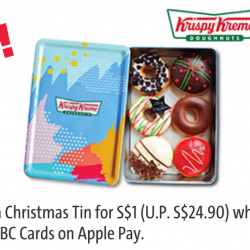 All CNY Goodies collection at AMK Ave 10 outlet only. 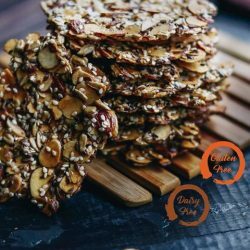 Price $103 per hamper (Early Bird Promotion: 6% discount for orders placed before 31 January 2018). 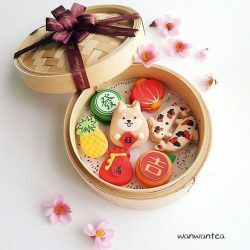 [Bonheur Patisserie] Lunar New Year 2018 macarons set of 8 (U.